You are here: Home / Best Practice / SEO Smart: How to Rise to the Top of the Search Engines—Guaranteed!! SEO Smart: How to Rise to the Top of the Search Engines—Guaranteed!! You've built a website to market your business or products. You may have spent hundreds or thousands of dollars with a web design company who promised you fantastic results, increased call volume and new avenues of profitability. Then after your site went live, you eagerly anticipated a stream of new customers to come rolling through your door because your website is so beautiful. But instead of reaching the promised land, you discovered new opportunities to exercise your patience as you waited...and waited...and waited. Does this story sound familiar? In the movie "Field of Dreams," Ray Kinsella was driven to build a ball field because he kept hearing the mantra "if you build it, they will come." The world wide web can be a field of dreams for those who work hard and follow the rules. But for the folks who are seeking fast wealth and immediate gains, it could very well turn into a field of disappointment and despair. When faced with undesirable outcomes, many business owners turn to SEO experts for help. 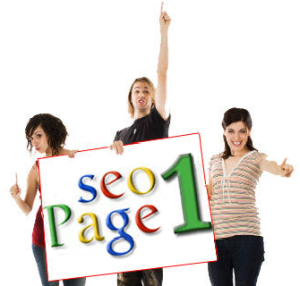 SEO is an acronym meaning Search Engine Optimization. It's not uncommon for SEO experts to promise fast results and increased search engine page rankings in very little time; even to the point of winning the prize of all search engine prizes...getting listed at the top of the first page of Google results—guaranteed!!! The truth is, if a SEO expert is making you these assurances, they are lying to you. Nobody can guarantee a successful rise to the top of search engines results, especially Google's. As an organization, Google spends hundreds of millions (if not billions) of dollars to protect the integrity and end-user experience of their search engine. They do not tolerate anyone or anything with a "secret formula" designed to fool their algorithms in order to bump up an otherwise deserving business in their page rankings. We've detected that some of your site's pages may be using techniques that are outside Google's Webmaster Guidelines. Specifically, look for possibly artificial or unnatural links pointing to your site that could be intended to manipulate PageRank. Examples of unnatural linking could include buying links to pass PageRank or participating in link schemes. This letter is basically telling my client that his website has been banned from Google's search results until he stops and corrects the linking schemes. The SEO "expert" he hired managed to generate 5,412 backlinks to my client's site on over 1,000 other sites in just a few months. Unnatural is right! And the cost for all this? My client paid the SEO expert over $2,000 to be banned from Google, not the results he wanted, expected, or was promised. He did however receive 16 calls from new customers because of the immediate rise to the top. Not much of a trade-off, is it? While there are certain legitimate strategies that can work, they are all ones that play within Google’s guidelines. I find it irritating to come across sites that are obviously “optimized” for certain keywords, with awkward phrasing and keyword stuffing. Thanks for your input Ilana. I’m more focused on writing great content that meets my audience’s needs rather than worrying about placing keywords in what would be awkward positions for the English language. Hi Vic. With the recent changes in Google, many websites have started receiving these warnings. Thinking that thousands of backlinks is the right thing to do well they definitely will incur the wrath of Google this time.